British Gas are planning to offer a deal to their smart-meter customers to allow free electricity usage at between 9am and 5pm the weekends. The scheme, named FreeTime, allows customers to choose either Saturday or a Sunday each week, and receive free electricity between 9am and 5pm for that day. Customers who have smart meters installed will, under the new scheme, benefit from a day’s free electricity and will also receive a smart meter installation for free if they do not currently have one, an online interactive tool allowing them to see exactly how much money they are saving with the programme, and a fixed tariff to ensure that even if British Gas is forced to increase their operating costs, the cost for customers remains the same. 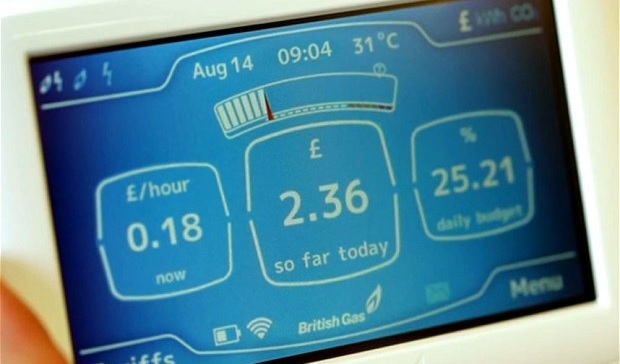 The British Gas Smart Meter is a computerised utilities meter currently offered by British Gas, which allows greater control over electricity consumption and utilities usage by presenting customers with accurate, easy to read information and data. It is able to predict likely usage cost, keep track of current usage levels and interface with smartphones and computer apps so it can be checked from anywhere. These apps can also interact with it to allow control of the meter even when you’re not home, and can help you budget your utilities usage more carefully. In addition to this, the smart meter sends usage information to British Gas constantly, making your bills a current, accurate analysis of your energy use, NOT an estimate. By using current information from the smart meter, a whole host of problems concerning estimate billing are avoided and the customer gets a much smoother, more consistent and more hassle-free ride. However, the venture into the free electricity movement is a first, not only for British Gas but for the utilities industry as a whole. No other utility company in the UK is offering free electricity as part of its product range. The Freetime offer is available fixed until March 2018, allowing customers to lock in to the deal while it is cheap and benefit off the fixed tariff for years to come. The Freetime scheme also takes advantage of the fact that at least one day per weekend will be spent unwinding, which for some people means TV, video games, many cups of tea from an electric kettle. If these pastimes no longer cost anything, they are immediately more effective at unwinding someone, who can enjoy them 100% guilt-free and without any worry about the cost. However, it is Freetime’s affects on the utilities industry as a whole that is the most interesting thing about this story. British Gas are now offering something no other utility company does – whether because they can’t or simply because they won’t will soon become clear. Rival utilities companies must now compete with a peerless selling point in British Gas’ Freetime, and it is likely that we will soon see the rise of similar smart-meter based systems using free electricity or other high-profile benefits to attempt to win customers over. British Gas’ success in this field cannot be allowed to go unanswered, so this British Gas free electricity scheme may signal the beginning of a period of intense competition between utilities. The end result, as always, will be an incredible atmosphere for customers, with the customer able to pick and choose between a selection of excellent available deals.